As part of this campaign, we developed outdoor executions that were big, beautiful and unexpected—just like the FIAT 500X. 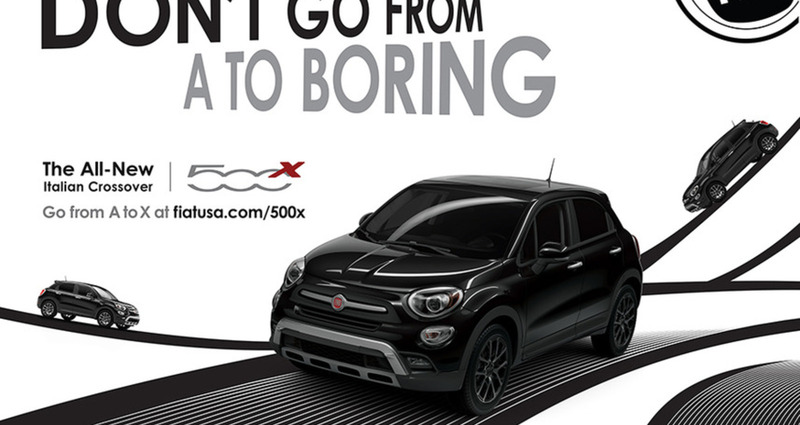 In these billboards, the FIAT 500X effortlessly navigates every twist, turn and loop of the endless, winding highway. 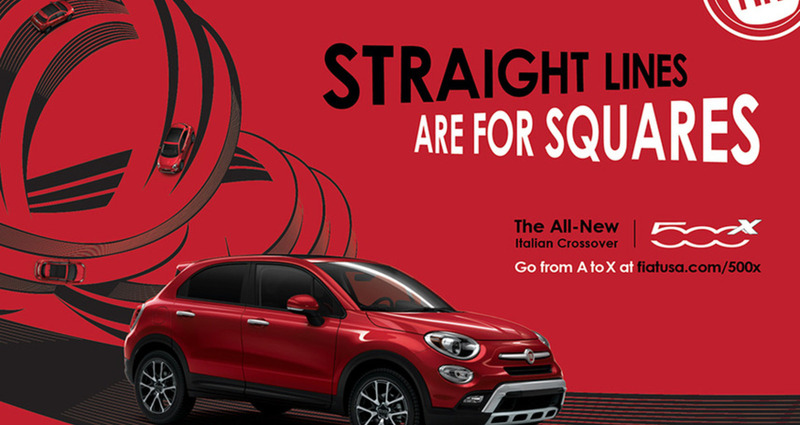 Stylish and fun, these billboards stand as a testament to the design, capability and spirit of the FIAT 500X. The billboards were strategically placed outside the L.A. Auto Show. With over one million attendees, we were able to target automotive enthusiasts, the automotive press and thousands of potential consumers, in addition to millions of L.A. area residents who drive past the billboards everyday. The billboards generated significant buzz in and around the Auto Show, and continued to promote the FIAT 500X weeks after the automobile’s official reveal. In late 2014, FIAT introduced the new 2016 FIAT 500X, an Italian crossover that combines classic FIAT style with a larger body, more powerful performance and AWD capabilities. Our challenge was twofold: (1) Launch a versatile crossover from a brand that is primarily known in the U.S. for building small cars, and (2) leverage the launch to continue to evolve the perception of the FIAT brand in the United States. To launch the FIAT 500X, we developed “From A to X,” a campaign based on the insight that life doesn’t go from A to B anymore. Life—just like the road ahead—is full of the unexpected. And to make the most of it, you need a vehicle that’s ready for anything. That’s the FIAT 500X. 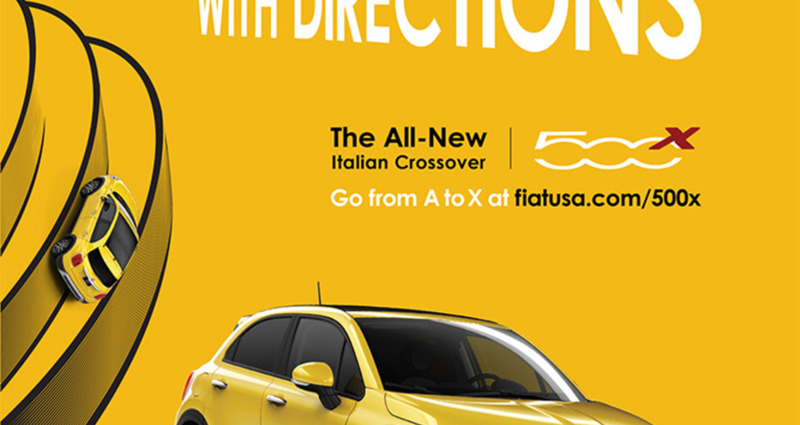 Similarly, the “From A to X” campaign had to be flexible and fun—an overarching theme that could accommodate unique creative executions from FIAT’s creative agencies around the world (including us), and tie the executions together in one cohesive experience.